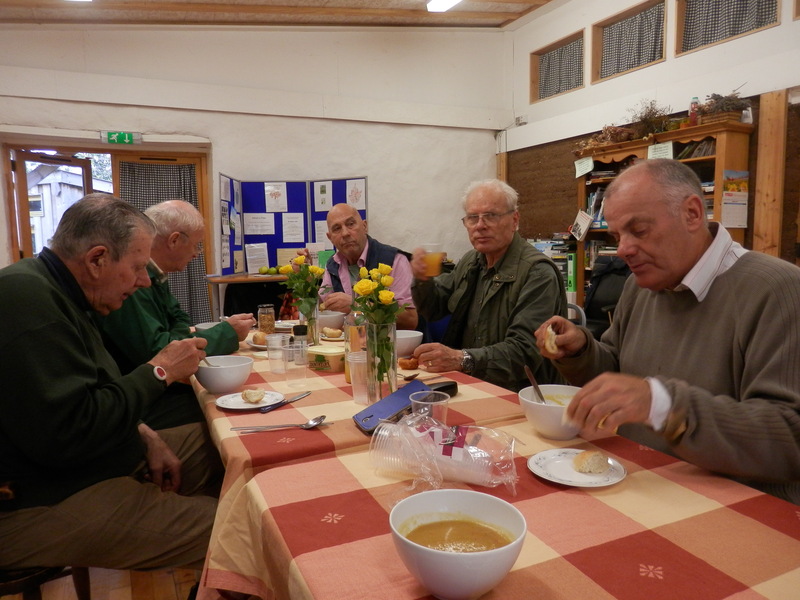 I made soup for the bread group on Thursday and for Men in Sheds on Friday. Both lunches were very enjoyable for me and people ate all their soup so they probably enjoyed it too. I was just thinking, though, that I don’t actually have a recipe for soup. I have a range of ingredients, and a size of pan, but no measurements or fixed ingredients. Normally it doesn’t matter, but at times like now, when I’d like to write down a recipe, I can’t. Basically, for Spicy Pumpkin you want some potatoes, garlic and onions lightly fried till soft, then you add some pumpkin you’ve roasted in the oven, half a biggish red chilli and a a chunk of ginger slightly smaller than one of my thumbs. Add ground cumin if you have any (I didn’t so I decided to use nutmeg but I’ve lost the grater so I ended up using thyme). Boil it up with a couple of litres of water and two stock cubes, check the seasoning, blitz it and you’re done. If you think that’s vague you won’t like the Leek and Potato soup, which has fewer ingredients and features a few onions, some potatoes (enough to justify their place as a main ingredient) and some leeks (ditto). Ignore where books say “white parts only” as that is pathetically short on most bought leeks, and the green still tastes good. Stock etc, blitz, done. Not sure what sort of cook this makes me but I do know it makes me a lousy cookery writer. Today I made soup for the shoot, but that was easy, I just opened cans. They had canned soup (supermarket), bread roll (local baker), sausage roll (local butcher), fruit pie (supermarket) and cream – all for under £1 per person for 28 people. I’m not saying it’s good food, but it isn’t that bad either, and it’s cheap; i couldn’t feed them for that. The soups I just made run out at around 50p per person when you press the supermarket button on recipe websites. I’m going to pause now and remind myself why I make home-made soups. 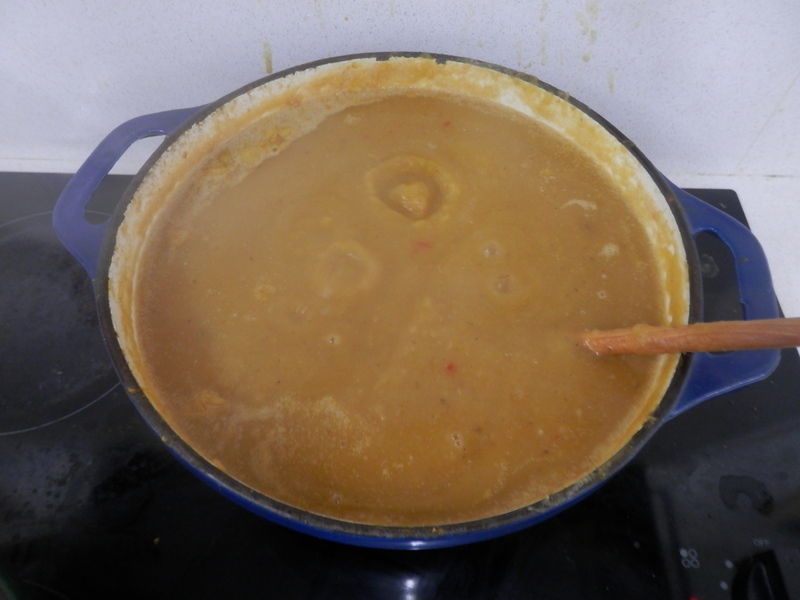 This entry was posted in Care Farm, Cookery and tagged leek, pumpkin, recipes, soup on October 31, 2015 by quercuscommunity. It only seems like yesterday that I was writing about Saturday’s events on Monday and now it’s Thursday. That means that not only has the week gone, but it’s left me without much time to finish my week’s work. That seems to be constant at the moment – like elementary subtraction I always seem to be borrowing one. In this case it isn’t from the next column but from the next day. Monday was a blur, partly caused by a flare-up of arthritis and partly by lack of sleep from the day before. It wasn’t a very productive day either, which always seems to be the way when you have too many jobs to fit the available time. Tuesday, I went to a funeral while Julia hosted a day in the country for 20 kids in foster care (and pinged one on the electric fence to bring her year’s total up to 3). 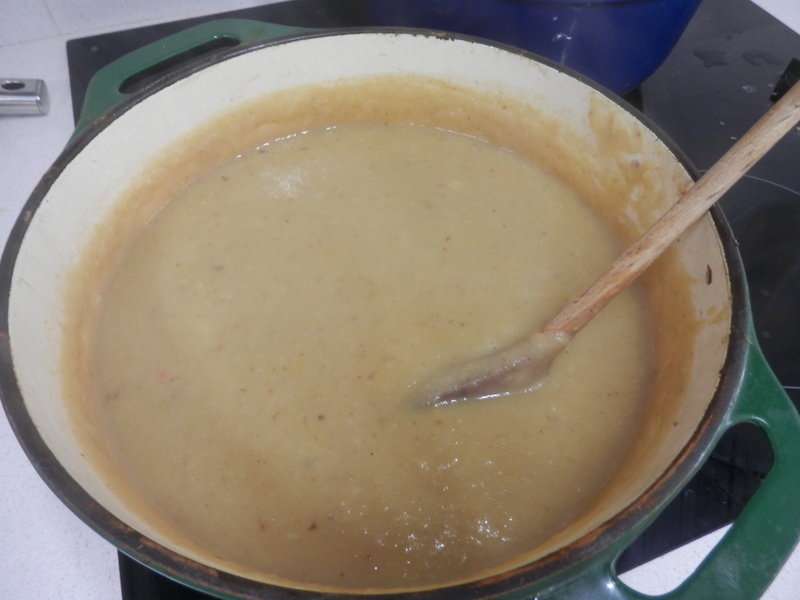 On Wednesday I caught up with Monday jobs, juiced some apples and made soup. 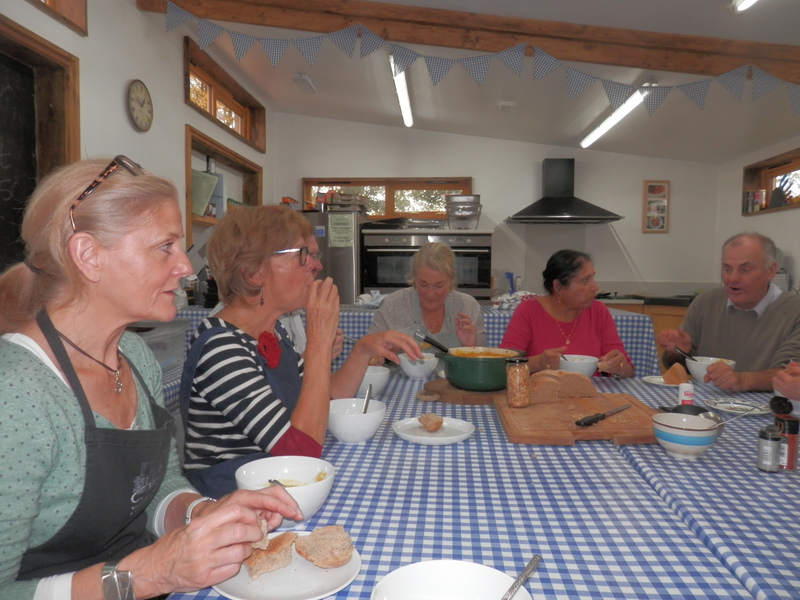 Today I attended the bread group, ate the soup with them (it’s pumpkin soup – hence the jar of seeds in the picture), bottled juice, made more soup and emailed Men in Sheds to remind them about the soup. I have so many jobs to do, and am getting so few of them done, it seems like my ears are moving further apart to accommodate the stuff crammed in my head. I’m assuming this is untrue, as my glasses still fit, but I’m definitely feeling like I need to find a free day to catch up. Sitting down for soup and companionship – the “com” and “pan” translate as “With bread”. Seems right to me. 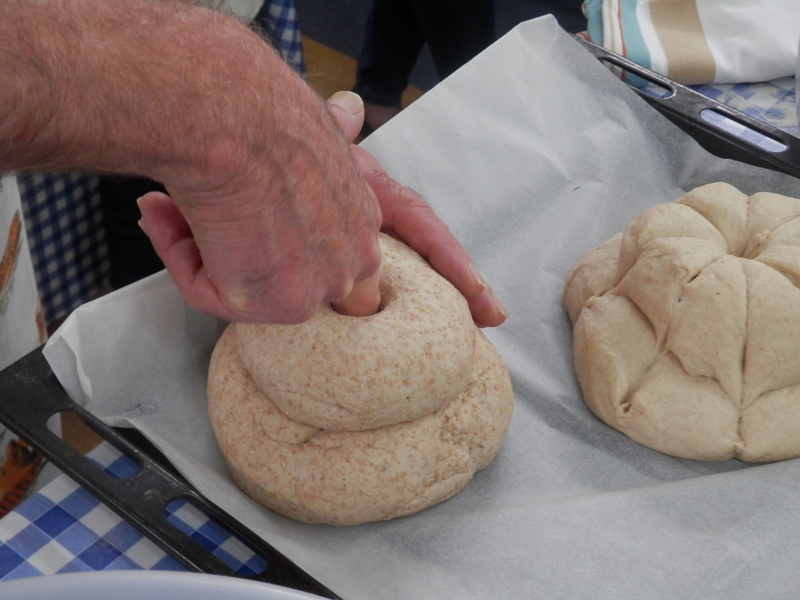 This entry was posted in Baking, Care Farm and tagged bread, companionship, soup on October 29, 2015 by quercuscommunity. Hectic again, so this is the Monday morning catch-up post from Saturday. It was a long day on Saturday. We set up early and pressed the Lord Derby for our single variety juice – twelve hours later we locked the gates and went home. So much for my work/life balance. 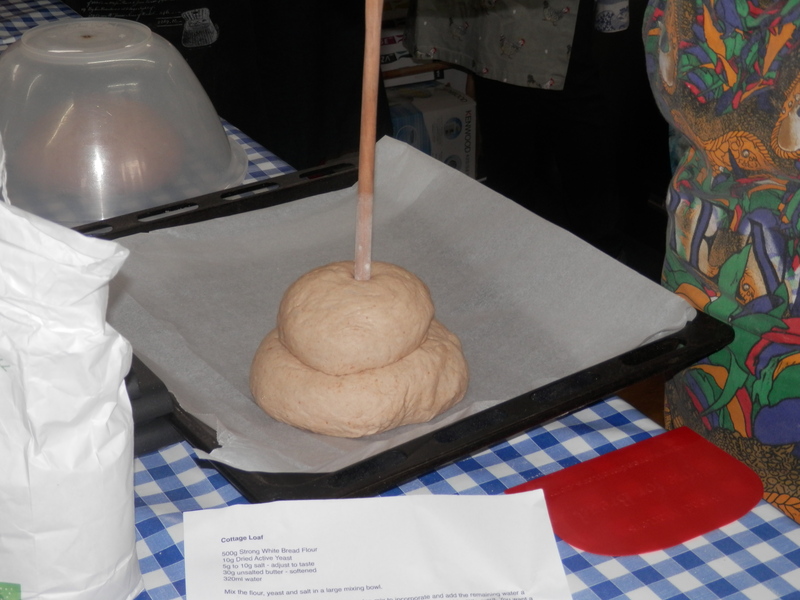 Between those two events we managed to eat several cobs containing pig products and pressed a lot of apples for the community, plus a couple of lots of pears. In contrast to previous Saturdays people arrived with boxes, builder’s bags, assorted carrier bags and even a hand cart. Bearing in mind the educational aspects of the day, I was happy to allow everyone a chance to experience the hands-on aspects of the job, though nobody showed any interest in the cleaning up. I must think up a killer sales pitch for next year – the Full Farm Experience to go with the Full English Breakfast. Everybody seemed to go away happy, despite the incident with tea urn. That occurred when someone brought some 10 litre bags to fill. In order to get through the pasteurising quicker I was using two tea urns plus the pasteuriser (which is just a big urn). Unfortunately I overlooked the possibility for damage to the bag from the absence of a trivet. Or, to put it another way, I welded a bag to the bottom of the urn. 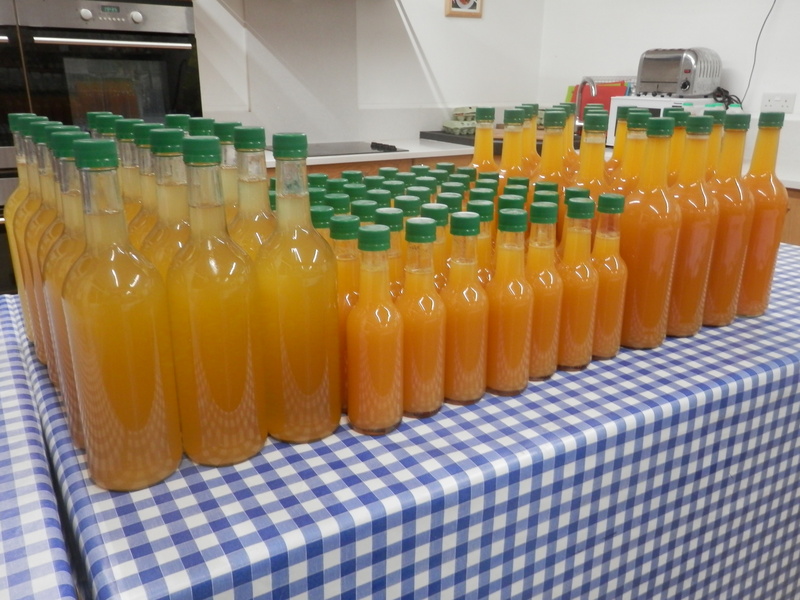 Despite that, a local orchard owner has just (Monday morning) asked if I can pasteurise 150 bottles for him. Today’s learning: Remember to put a tea towel in the bottom of the urn next time. Today’s tasting notes: The Lord Derby juice is a lot sweeter than I was expecting from a cooking apple, also a bit thicker, more orange and more prone to producing sediment. I’m hoping it’s going to be popular because we have twenty trees and once they grow they are likely to be heavy croppers. 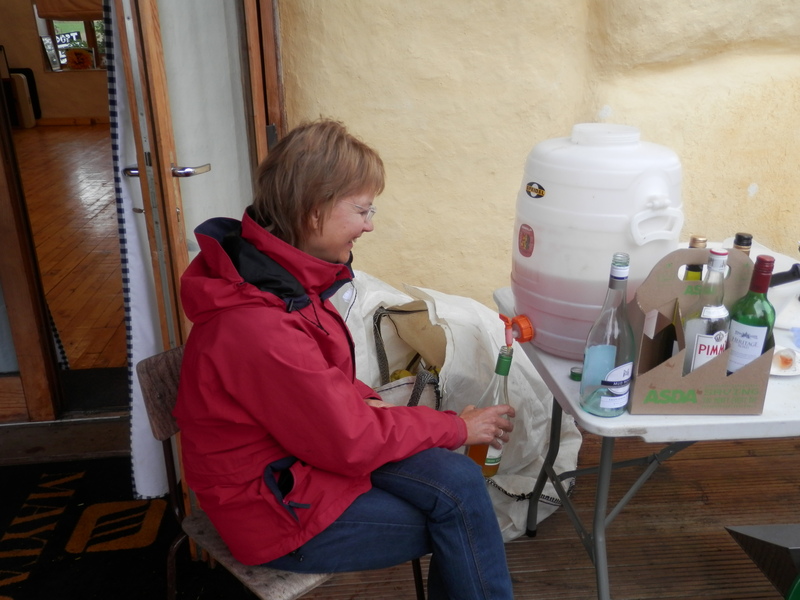 This entry was posted in Care Farm and tagged apple juice, apple pressing on October 26, 2015 by quercuscommunity. Why doesn’t my spell checker like welly whanging? Simultaneous with the volunteers yesterday, we had a group of kids for the afternoon. 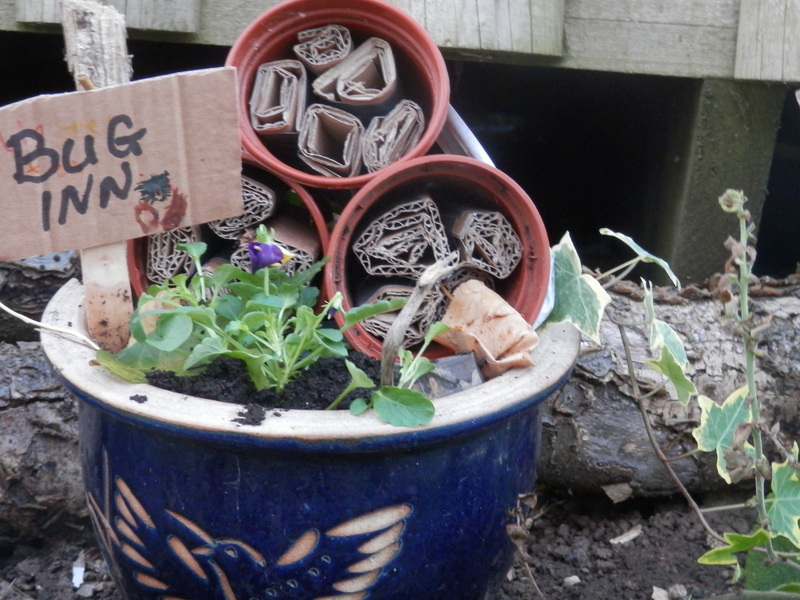 They did a noisy nature walk, had a welly whanging competition, a festival of shouting and made bug hotels. 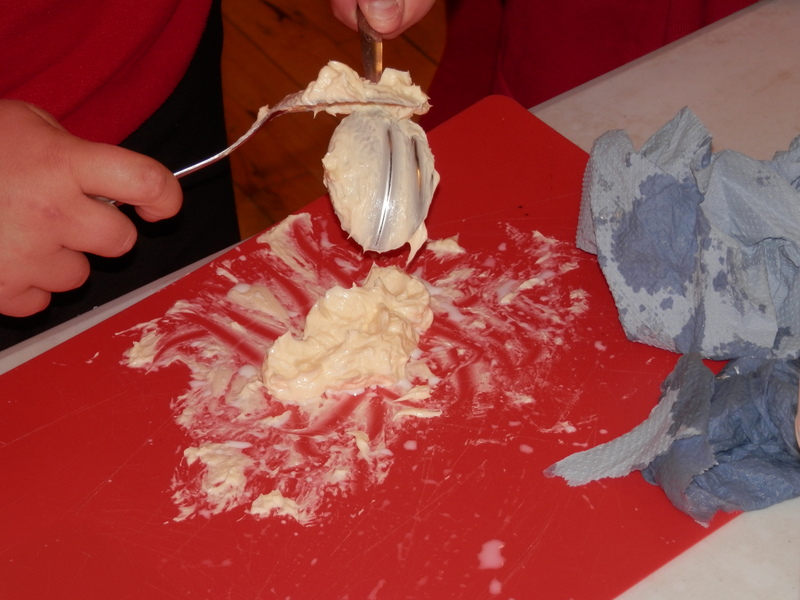 When all that was over, we made butter. Apart from one kid throwing up, one turning green (we blame the jumping up and down technique of shaking for this) and one lid leaking – nothing. You can’t count the kid that sprayed himself in the eye with the automatic air freshener because that wasn’t caused by butter-making: that was, I confess, caused by me forgetting to screw the air freshener to the wall out of the reach of kids. Butter. I felt the need to explain that because it does look like er…not butter. 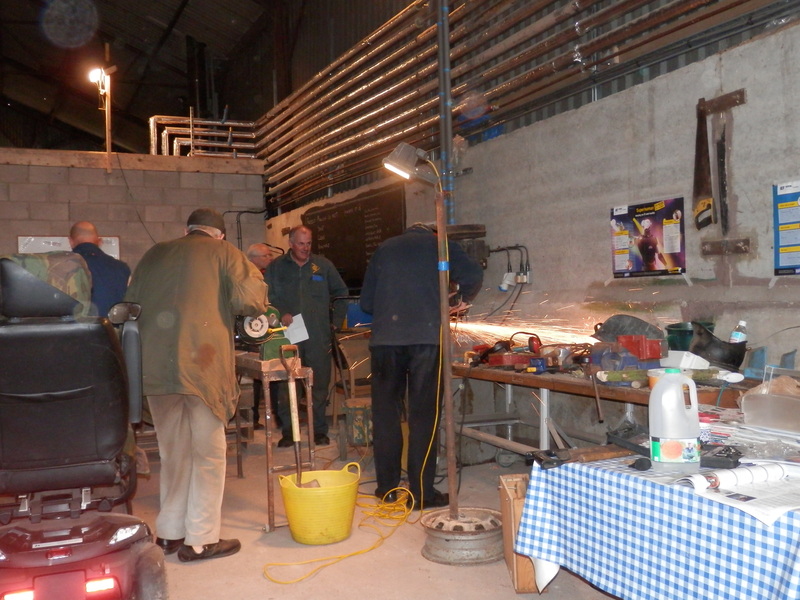 We then pass to Men in Sheds. We made more signs and welded up a bracket. We were also commissioned to build an adaptor to fit a square heater to a round tube in the grain dryer. There’s a song about that, isn’t there? The rest of the song, with it’s moonlight and music and love and romance doesn’t really match with my experience of Men in Sheds. 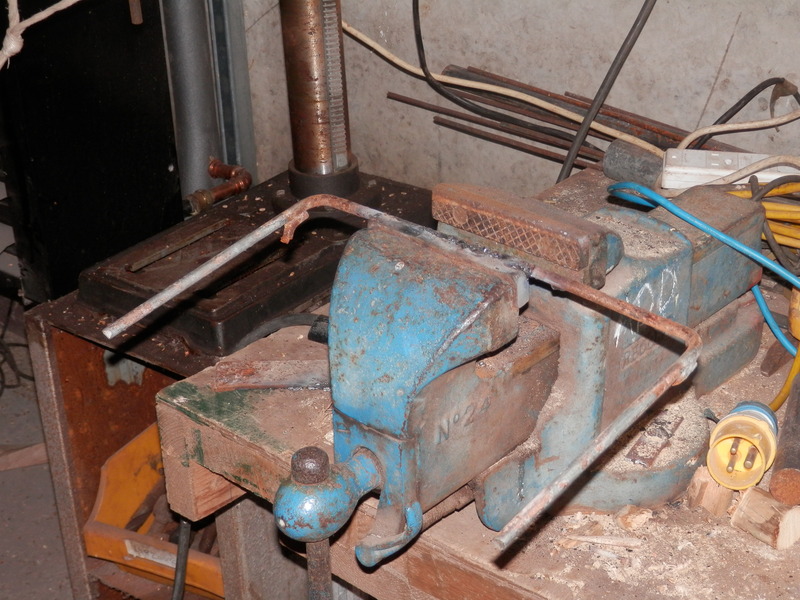 One bracket, welded to vice. 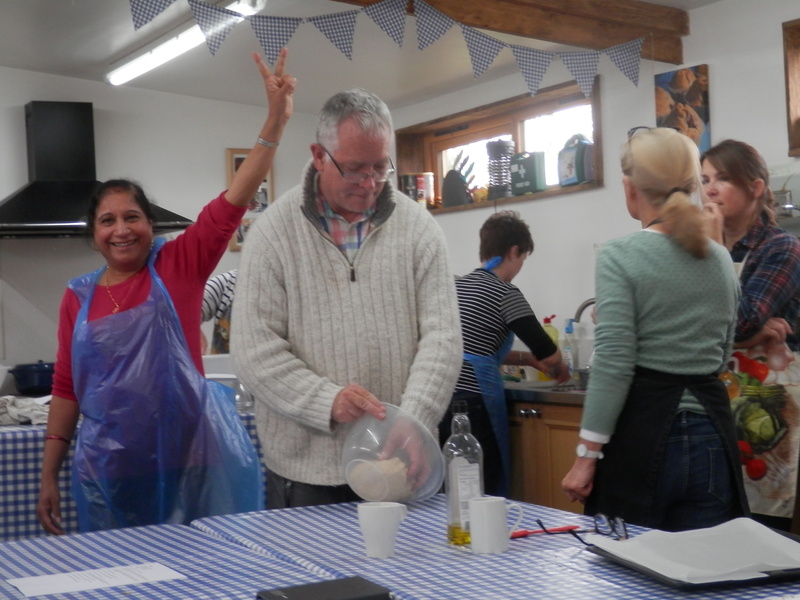 This entry was posted in Care Farm, Men in Sheds and tagged butter, butter making, Education, nature, outdoor activities on October 23, 2015 by quercuscommunity. It is a truth universally acknowledged, as Jane Austen never wrote, that a middle-aged man in possession of a bladder will never need an alarm clock. And so it happened that although I passed the night with neither clock nor phone to wake me, I woke at 7 am without a problem. And 5.30 am and 3 am. I normally set the clock anyway but the battery has gone dead, and my phone was also out of juice, so I relied on nature and it didn’t fail me. It was actually one of the more relaxed nights I have spent recently, as we didn’t need to be at work until around 11.00, allowing us time to get up, shop and have breakfast out (which was an error – the TESCO cafe staff, as usual, lacked energy whilst the cafe itself lacked tea. There were no working hot water machines, and, according to the staff, no kettle. That’s worse than a pub with no beer.). 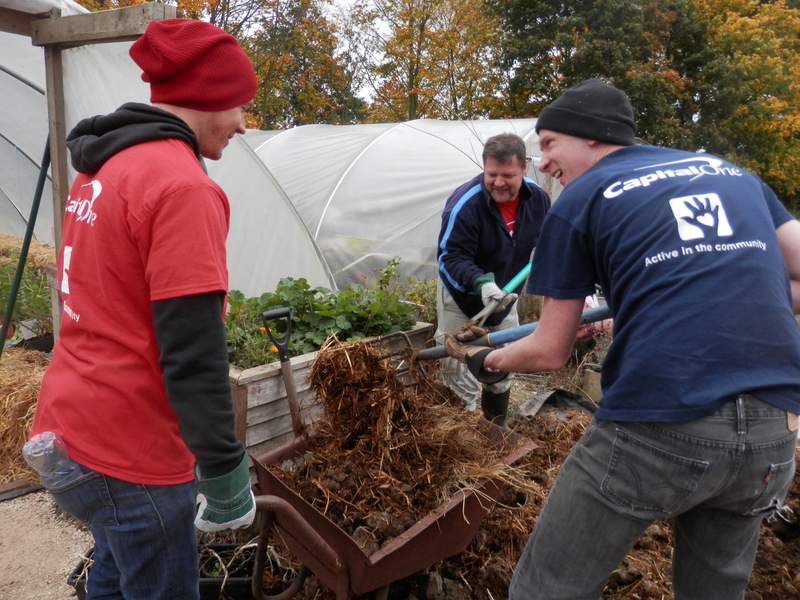 When we got to work we found that the volunteers from Capital One were hard at work, and had nearly completed the raised bed in the large polytunnel. It brought a lump to my throat and a tear to my eye. It is a beautiful bed made from straw bales and filled with a variety of materials, including a lot of well-rotted pig muck. We’ve been trying to get it done for several years but there’s always been a problem, so it was great to see it completed. It was a bitter-sweet moment: seeing the beautiful raised bed, yet knowing that the plan for next year is to let the Allotment Club use it. So there I was with my nose pressed up against the polythene like a kid at a sweetshop window. So close, and yet so far! To be honest, the pleasure of seeing the bed outweighs the sense of loss. I’m already making plans for next year and I far prefer planning to actual gardening. This entry was posted in Care Farm, Gardening and tagged middle age, raised bed, volunteers on October 22, 2015 by quercuscommunity. 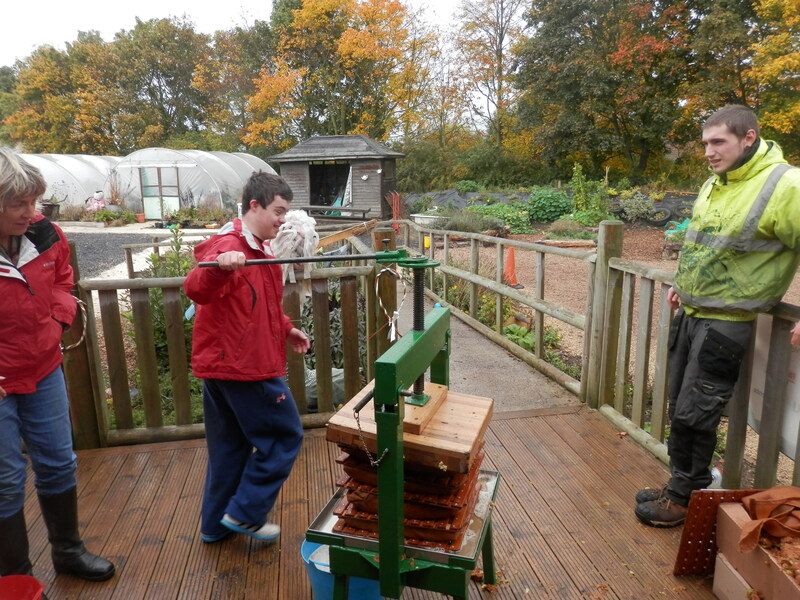 We’ve been drying apples ready for the weekend. 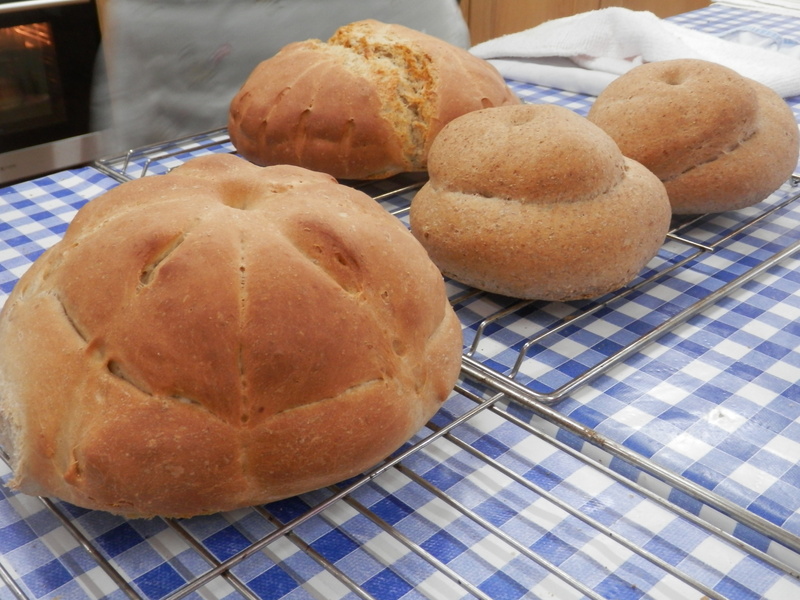 The intention was to bag them up and sell them but we’ve just hit a snag (apart from the one where we eat loads of them) – they just don’t weigh much! At the current rate, which includes using the group and the Applemaster, we will have about £6- £8 worth of apple rings by the weekend. It’s not going to make much of a dent in the funds. On the other hand it will be easier to store than the apple juice, which is beginning to make the shelves bend under the weight of bottles. I’m still thinking about storage for the next lot – which is going to include 50 small bottles of Lord Derby as single variety. 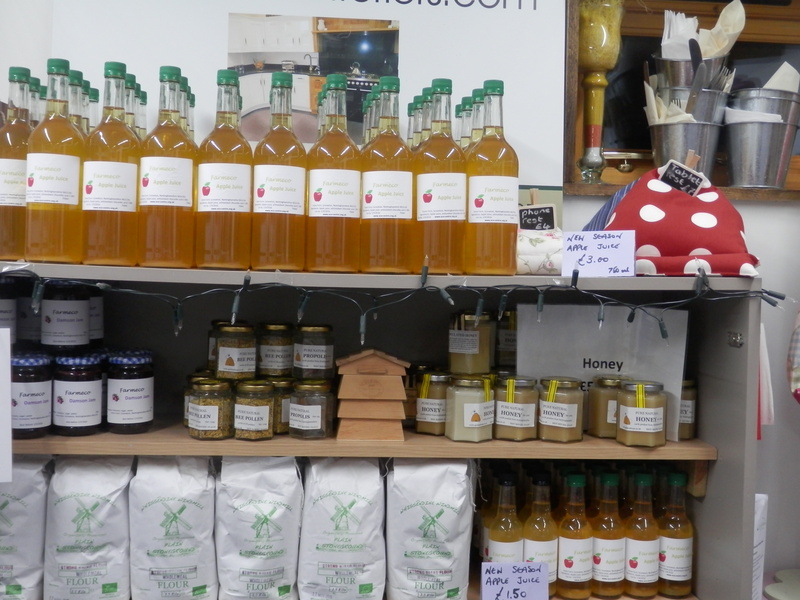 We have a plan to sell Apple Punch kits at Christmas in an attempt to reduce stocks. 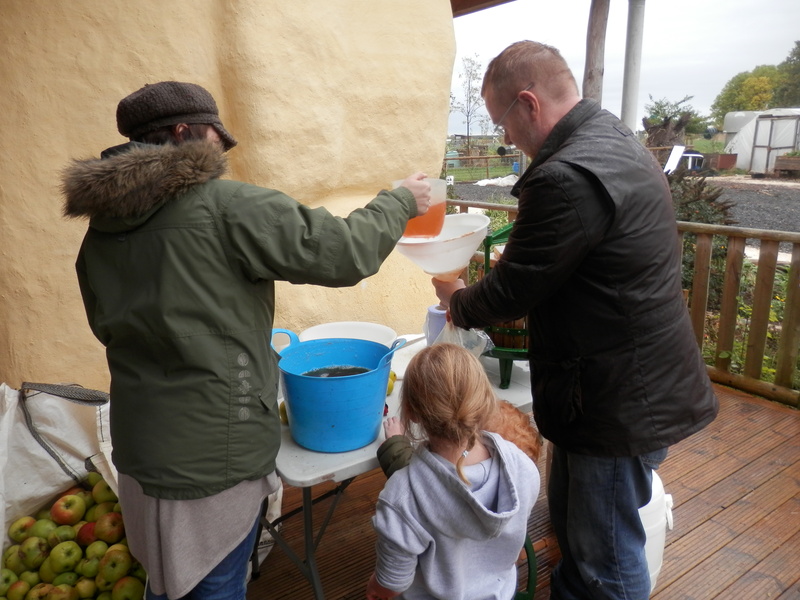 We’ve mastered the art of producing apple juice, we just need to sell more than the four to six bottles we get through every Saturday. As they always used to say when I attended sales conferences – Nothing happens until somebody sells something. 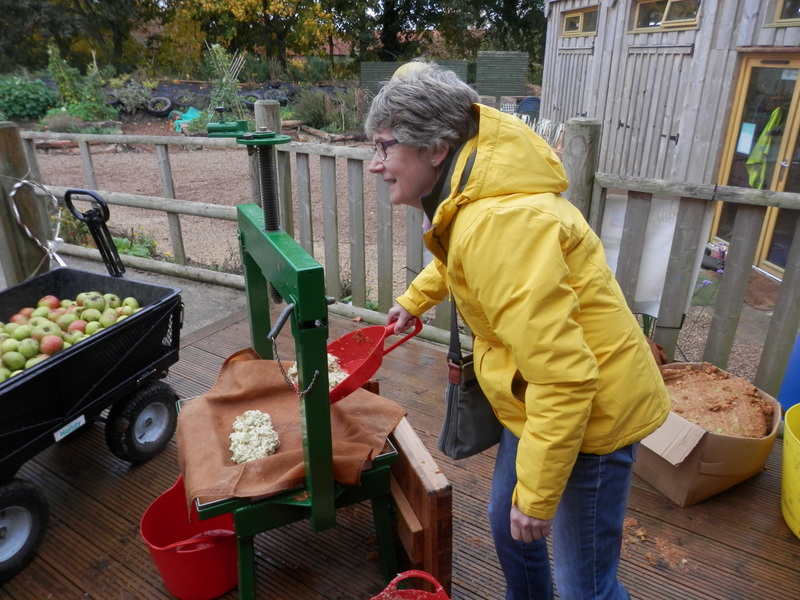 This entry was posted in Care Farm, Cookery and tagged apple juice, apple pressing, apple rings, apples, dried apples on October 21, 2015 by quercuscommunity. …or nine years without cleaning the car properly. It was also rather annoying as I had to spend £25 (non-refundable) on ordering a new log book for the car, an event that became even more annoying when I then found the old log book. However, think back to the words “non-refundable” I used earlier, a bit of dramatic foreshadowing if ever I saw one. I can’t say I enjoyed the day – I’d much prefer to be out on the farm – and to have £25 in my pocket – but I did need a new car – and I have learned some valuable lessons about filing, cleaning and resale values. This entry was posted in General and tagged filing, log book on October 20, 2015 by quercuscommunity.